How much home can millennials afford in San Francisco? 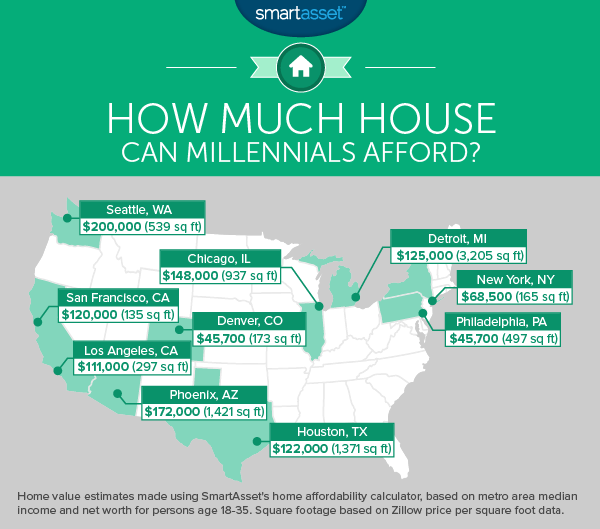 The elusive millennial generation must be ready to buy a home soon, right? The group of individuals born between 1980 and 2000 is a mystery for a lot of real estate professionals, often burdened by student loans and living a lifestyle of non-attachment. 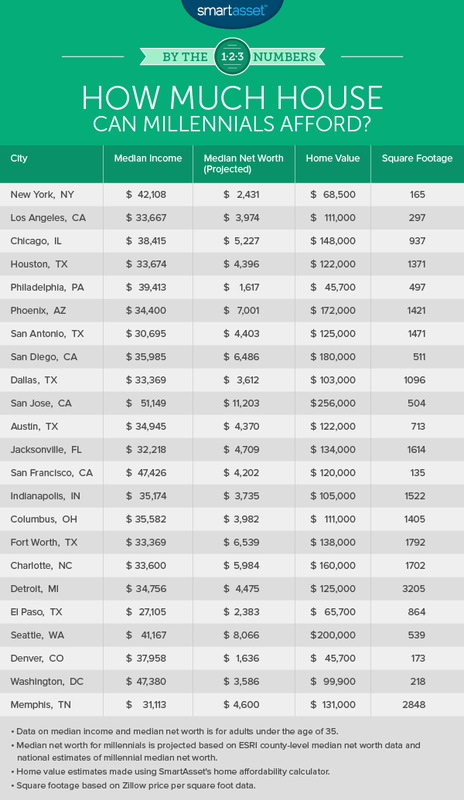 Smartasset measured the affordability of the top 23 cities in the U.S. for this group, which was assessed based on median income data from the U.S. Census Bureau’s “Young Adults, Then and Now” report and county-level net worth data from ESRI. In addition to national net worth data from U.S. Census Bureau, the information was then paired with interest rates and the Federal Housing Administration’s minimum 3.5 percent downpayment for first-time home buyers in Smartasset’s home affordability calculator. In San Francisco, the median single-family home price, according to Altos Research, is $1,166,346. Millennials in San Francisco cannot afford the median single-family home value that is reported by Altos Research. While San Francisco millennials can afford a more expensive home than New York and Los Angeles, Bay Area millennial residents are at the bottom of the list for the size of the home they can afford. The average millennial can afford a 218-square-foot home for $120,000 in San Francisco.